Late this afternoon I was in Sheung Wan and had a bit of time before my appointment, so I took a quick look around Man Mo Temple on Hollywood Road. The outside was covered in a haze of smoke from the incense and some tourists were sitting around across the street away from the incense emissions. More tourists inside were taking pictures of everything, from the carved wooden doors to the burning coils of incense and physical representations of deities, the God of Literature (Man) and God of War (Mo). 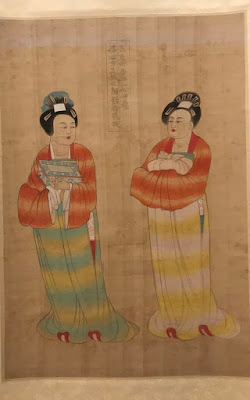 These two gods were worshipped by scholars who wanted to succeed in the civil examinations during Imperial China. 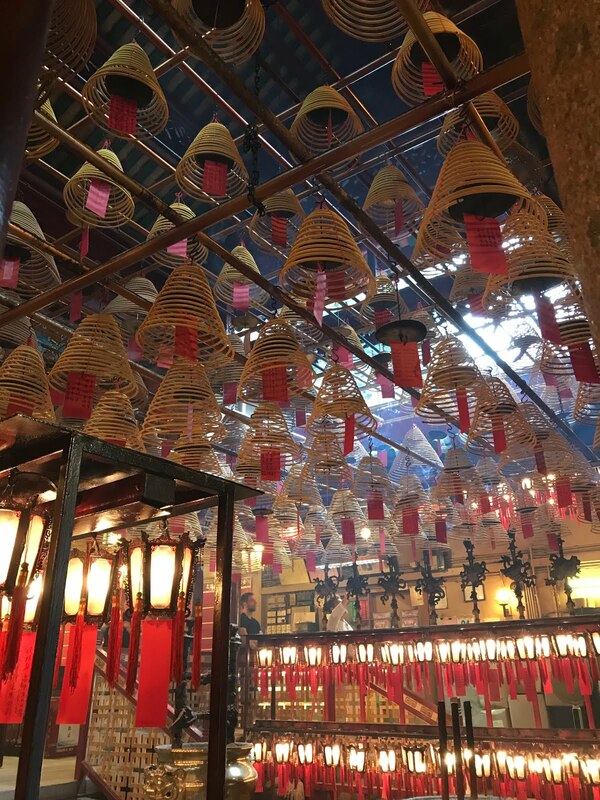 The temple was built in 1847 and is the largest Man Mo temple in Hong Kong. Step inside the temple land one feels like they've been transported to another time. Outside are western bars and cafes that are gentrifying the area, but it's neat to see Man Mo Temple standing its ground and not intending to budge anytime soon.